Safely collect trash and cigarettes with a multi purpose receptacle. Get the best price and take advantage of our volume purchasing from the best selection of trash receptacles. 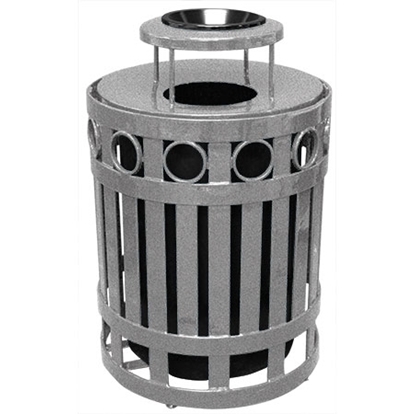 These Combination Trash and Ash Receptacle are used for office buildings, movie theaters, churches, restaurants and outdoor commercial locations. Keep cigarette butts, ashes, and garbage off your property grounds for a clean and litter free environment. 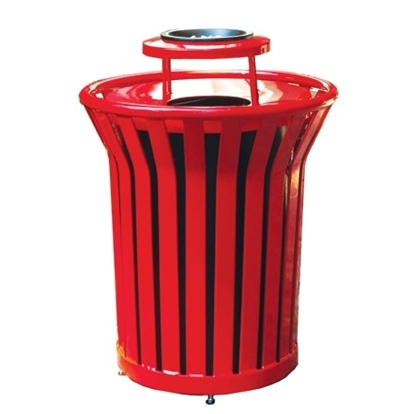 Our trash can receptacles with ash tops are used outside in waiting areas and smoking sections of parks, universities, theme parks, and shopping centers.